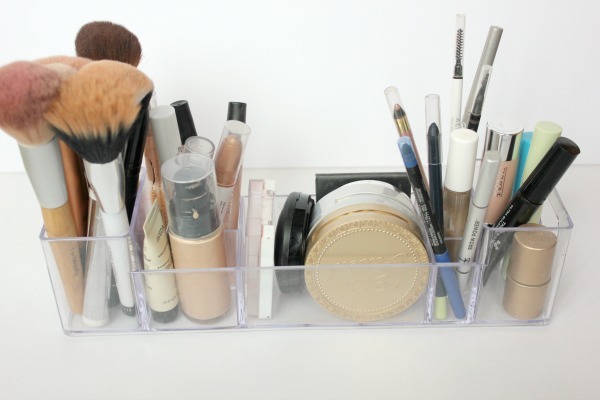 Last week Yuni blogged about a simple spice rack she owns and shared three different possibilities for using it to organize things. 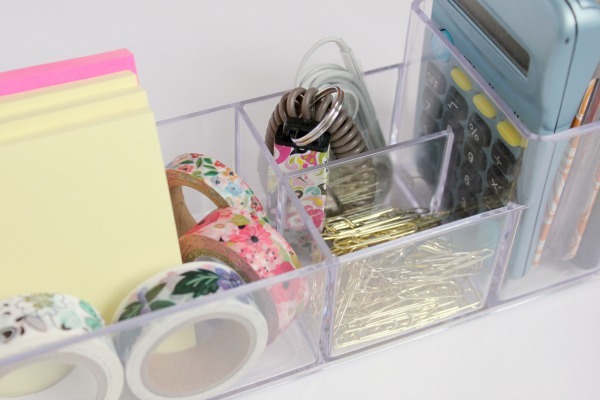 Her post inspired me to do the same today with an awesome acrylic organizer that I own and only paid $3 for at Dollarama. I hope these type of posts help you look at various things in your home that you came maybe use in different ways to organize around your house. Way back when this used to be a regular feature on the blog. How many of you remember that? It was called How Many Uses? and I loved doing it. It kind of went by the wayside though when I moved to Alberta and into a much smaller home with much less stuff that needed to be organized. 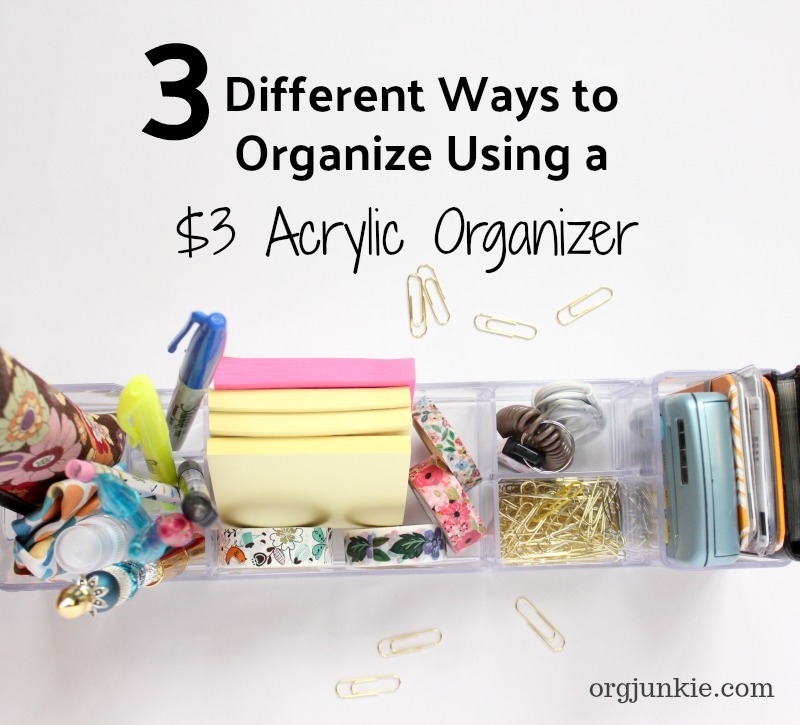 This clear acrylic organizer is such a great divided container that I wanted to share three different ideas for how it can be used to organize, organize, organize. As you can see it has 8 compartments. 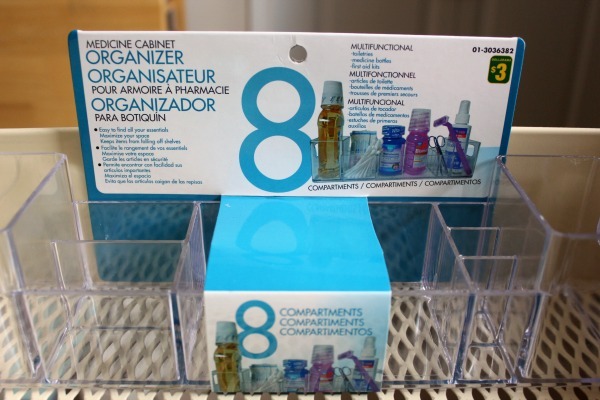 As you can see it’s marketed as a medicine cabinet organizer but of course you can use it however you want and because it’s clear it will go with any decor. Here are three ways I’ve come up with for you. 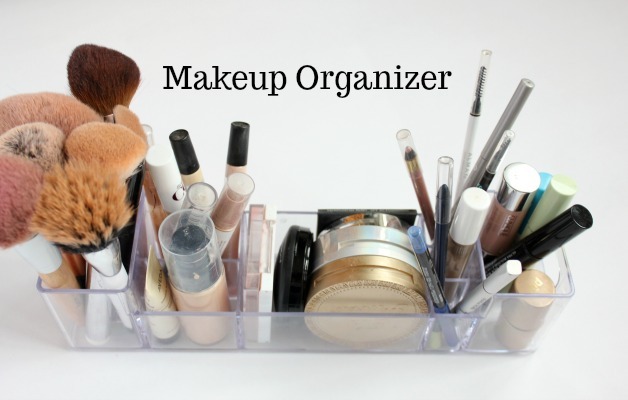 I currently use this particular organizer to contain my makeup on my bathroom counter. It perfectly holds all the products I use on a daily basis. I like having my makeup out where I can easily access it since I use it everyday. It has a narrow footprint so it doesn’t take up much space. 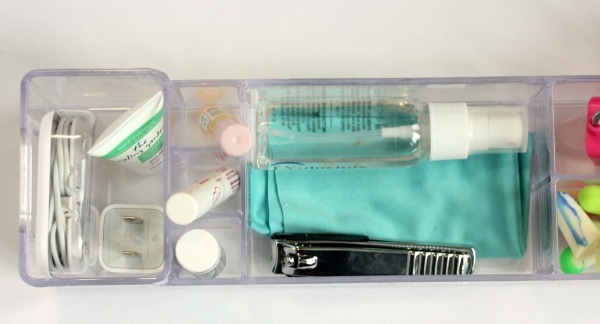 I have two more of these same organizers in my bathroom drawer that organizes other toiletries and makeup that I don’t necessarily use on a daily basis. 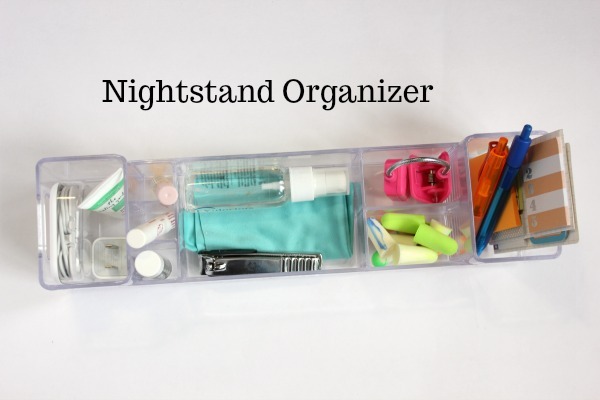 It can also be used in your nightstand to organize all the odds and sods that you keep in there. 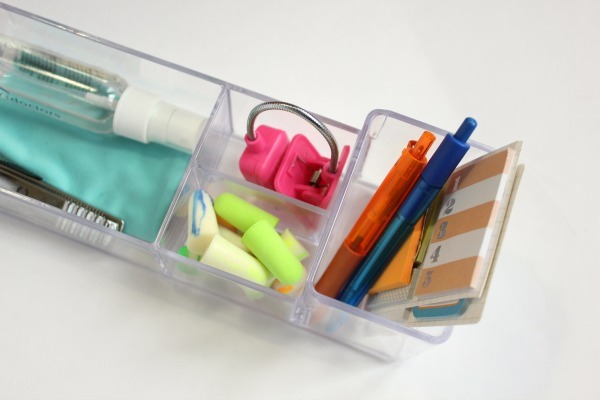 Everything from your book light and hand cream to your lip balm and earbuds. All right where you need it. 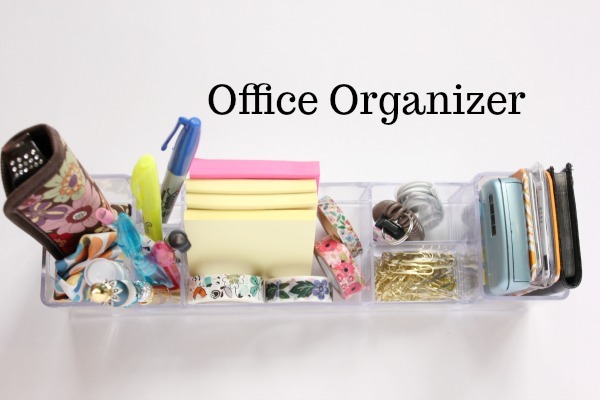 Keep your eyes open at your local dollar store for these type of organizers. This one is found in the toiletry section at Dollarama here in Canada but you can also get similar ones at Bed Bath & Beyond. 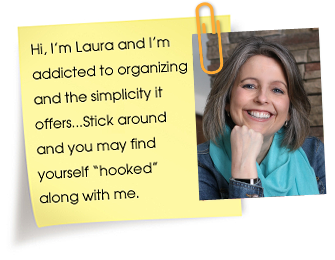 Let me know if you have a particular product that you love and use in multiple ways to organize in your home. I’d love to hear about it. Have a great weekend everyone and make sure to take some time for purging and organizing! Excellent ideas Laura. I think I have to go to Dollarama today. Enjoy your weeken too!